Another great tried and tested way is to get their engines revving. Now, what we mean by this has really more to do with oil than anything. 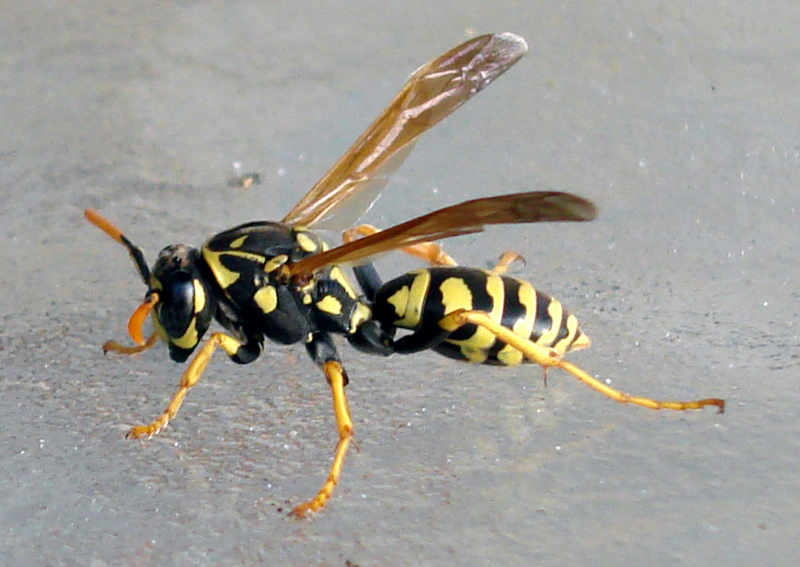 Think ocean oil spill, just on a lot smaller scale… Motor oil is a very heavy smelling liquid, this sent is easily picked up by the bees and the wasps; attracting them right to their doomed fate! This saves you the headache of having to provide both a liquid and something to attract them too it. Don’t worry this oil spill won’t get you in as much trouble as the BP oil spill. Obviously bug spray or wasp repellent would do the trick but if you find yourself in a pinch and don’t have these readily available we suggest using an aerosol can. Whatever it is that happens to be in your supplies either a cleaner or an air deodorizer will do the trick. Just point and shoot directly at the pests, the sticky liquid will weigh down their wings ensuring that they can’t fly up and harm you. We suggest those with only the quickest reflexes attempt this scenario. Remember folks all three of these ways will insure that you and your friends can enjoy the hot weather and relax poolside. 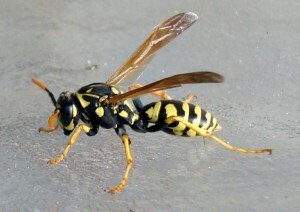 It’s also worth noting that wasps are usually more dangerous than bees but as long as you don’t aggravate them, more than likely you won’t find yourself getting stung.